Simple Pleasures Goats Milk Soap. 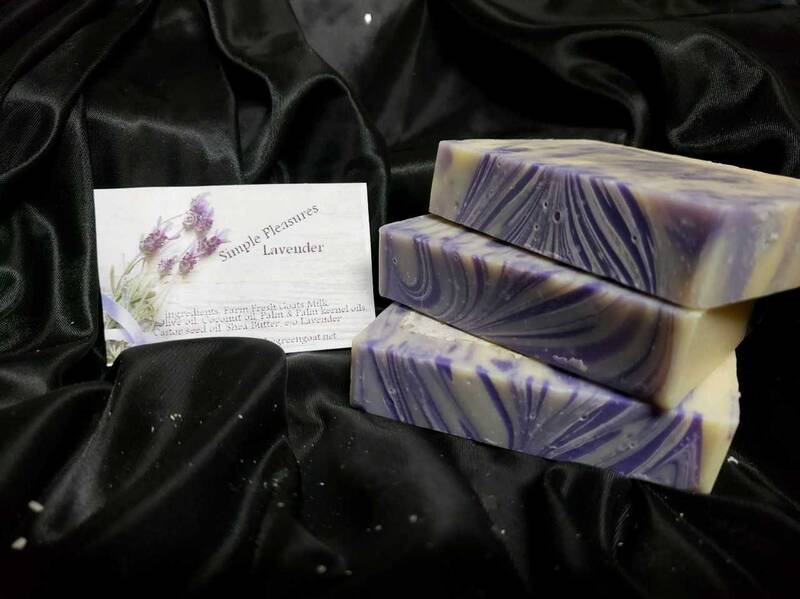 Rich n Creamy Lather with the beautiful scent of Lavender. Goats Milk Soap is so good for the skin, we use Fresh Nubian Goats Milk, Virgin Olive Oil, Coconut oil, Shea Butter, Palm and Palm kernel oils, Castor seed oil. 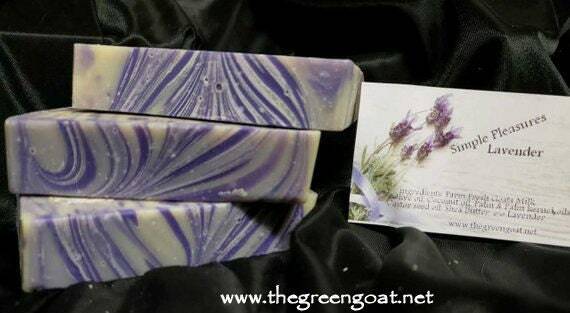 lavender essential oil, and colored with skin safe mica and soap colorant.